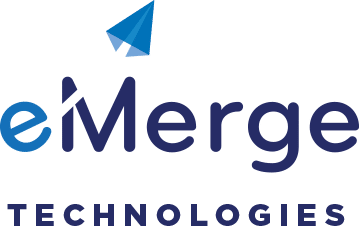 eMerge Technologies has been hiring developers for NetSuite projects for over 15 years. And just like all businesses we have been burned by poor hiring decisions in the past. So we thought it could serve the NetSuite community at whole to put together a brief guide that highlights some of the lessons we have learned from NetSuite hires over all these years. We decided the best way to achieve this was to put together a list of core NetSuite Developer interview Questions that we think the average NetSuite user should ask any developer they hire for a NetSuite Project. We have come up with 7 questions in total and feel like all 7 are important to establish the foundation of an above average NetSuite hire. We have divided the NetSuite developer interview questions into two sets of questions; functional and background. We have found that with NetSuite, in particular, a balance of interpersonal and functional skills make an ideal developer. 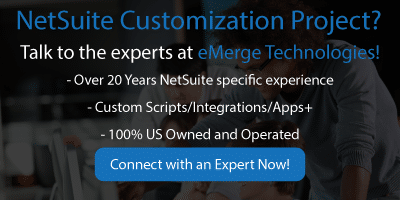 So without further ado, here are the questions eMerge Technologies thinks a NetSuite user should ask any potential NetSuite development hire..
1. Question: How many years of NetSuite-specific development experience do you have? Ideal Answer: Three years minimum. If you want to hit the ground running with this person, three years of NetSuite specific development is an ideal number. More experience will require a heftier salary and less experience could risk a few months of delay as the developer becomes more familiar with the platform. 2. Question: Do you have any experience with NetSuite as a user? If so, how much? Ideal Answer: Yes, at least one year. User experience is often overlooked but important. It is incredibly handy to have a NetSuite Developer that can think like a user. Whether you are developing an app or customizing a workflow, lack of user input early on can set you up for complete disaster when it comes time for go-live. 3. Question: Do you have any other experience as a developer not related to NetSuite?If so, how much? Ideal Answer: Yes, At least two years. Hiring a developer with a specific skill set is great; however, we will in a world where it is possible to have NetSuite specific experience on top other development experience. And in a world where both of those candidates exist, choosing a candidate with experience outside of and with NetSuite is the better choice. 4. Question: Do you have a 4-year degree? Now for a developer with any other specialty, this may not be an issue. However, with a NetSuite specific developer, this is a requirement. A 4-year degree does wonders for a student’s ability to communicate and interact with others if nothing else. A NetSuite developer is not a developer you can hide in the back room and expect him to get things done. This developer will need to work closely with business analysts and admins, making interpersonal communication skills a must! A degree in any field of business or communication should be looked at with added value, assuming the fundamental development skills are still present. The previous four questions are mainly to do with theory and background. A candidate may come to you and pass all those types of questions with ease, simply because they know the right things to say. This next set of questions will test the candidate on practical knowledge of the platform. Getting the ideal answers here will not be so easy, but the candidates who do, you can bet on performing well from the start. 5. Question: Could you describe the differences between SuiteScript 1.0 and 2.0? Ideal Answer: Updated API functionality, asynchronous client-side processing, a more modular architecture, are all good answers. Get them to elaborate on details until you are confident they are adequately knowledgeable. This question is a great question to gauge the candidate’s ability to stay abreast of current developments within the NetSuite community. NetSuite updated their internal scripting language last year to take advantage of web 2.0 functionality. At this point, any NetSuite developer dedicated to scripting, with multiple years of NetSuite-specific experience, should be able to talk about the differences between the two versions of SuiteScript with ease. 6. Question: Could you explain how the NetSuite Governance system works? How could I keep a long-running script from timing out? Ideal Answer: There are two common methods to solve this issue, if you are developing in SuiteScript 1.0, the candidate should talk about using the API call for “nlapiYieldScript.” This call in combination with others allows instructs the script to save its place and to pick back up where it left off, saving digital resources. If you are developing in 2.0 you have the luxury of using the Map/Reduce Script type. This is a framework or way of organizing the data that allows the system to process much more of it in a shorter time span. Have the candidate explain how the data is organized until you are confident he understands the process. 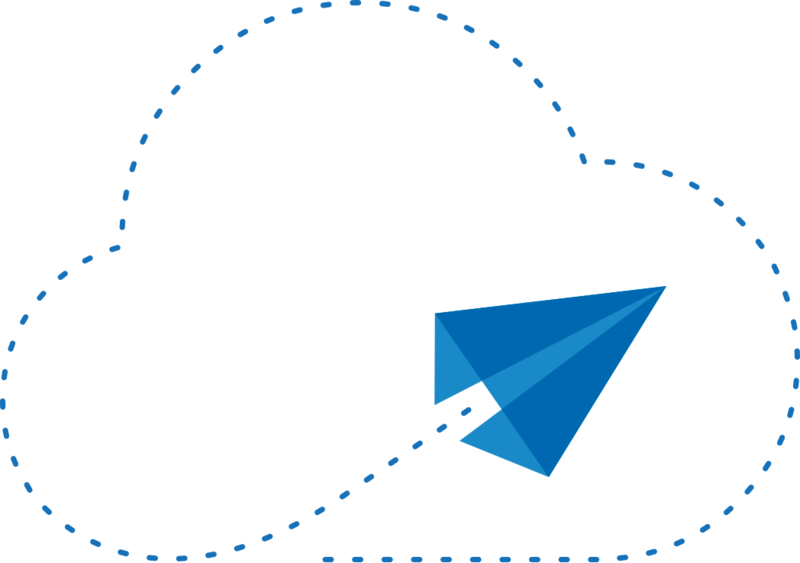 Since NetSuite is run in the cloud, simultaneously servicing all of their customers, the amount of data you can process through a single script is limited. Otherwise, a long-running and poorly written script would slow down NetSuite for everyone. There are methods used by developers, who are knowledgeable of the rules that govern NetSuite scripts, to achieve their goals without exceeding the limits set by NetSuite. It is crucial your developer understands these methods. 7. Question: How well do you know the NetSuite API? Could you free hand me the script you would use to have the NetSuite API create a new customer in NetSuite, with the following parameters: name, Bob; company, Tesla? A test like this can go a long way to giving you the verification you need. Of course, you can make it as complicated as you please, depending on the level of experience you need, but the underlying point remains the same. Make the candidate write you a sample of a script that interacts with the NetSuite API. If you know specifically what tasks you are hiring for, you can use this approach to test their ability to complete it. We hope you found these questions and answers helpful for your purposes. And we hope you use this set of NetSuite developer interview questions to set benchmarks for your candidates. If you have any questions, please post them in the comments section or send us a message!